Before Wi-Fi really gained traction in the enterprise and education space, planning a wireless installation was a breeze. We just based everything on coverage. Fast forward to today and it’s crystal clear how critical Wi-Fi has been for productivity, business, and innovation. What has changed in the way Wi-Fi has been deployed? Well.. a lot. 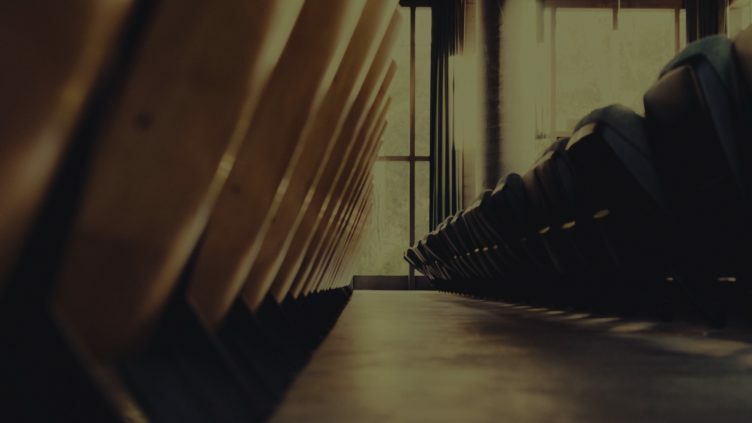 Outlined below are best practices for deploying high density wi-fi for the educational institutions. It’s meant to be more of a guideline in assisting the wireless engineer in their designs for coverage and capacity. Applications are putting a demand and strain on wireless networks. To provide reliable connectivity we must perform a lot of planning up front to create a proper design to meet today’s Wi-Fi requirements. After deployment, a validation survey must be performed to find out if any optimization is required. Without extensive planning, it will make designing a high density wireless network a guessing game. Considerable amount of time should be focused on identifying which applications are expected to be used, how many devices will be associated to Wi-Fi, and what bandwidth requirements need to be met, etc. There can be a long laundry list of questions. Poor planning creates a ripple effect which leads to an improper best guess design that negatively affects end user experience. Not to mention an increase in troubleshooting and escalated tickets. Below are best practices that should be applied for high density Wi-Fi in Education. This is meant to be a guideline for providing reliable Wi-Fi and is intended to be used for wireless network engineers. Before configuring any hardware, we must find out what kind of application should the wireless network be designed for? The type of application will tell what kind of throughput needs to be supported. The application throughput is then applied to the number of devices expected to be using Wi-Fi. We can use application throughput requirement and the number of devices to come up with an approximate number of required radios. Other requirements include aesthetics, coverage areas, and more, including the categories listed below. Disable legacy data rates and select your basic data rates to create smaller cell sizes. A word of caution with disabling low data rates – legacy devices will not be able to join the BSS. Another reason for disabling low data rates is to allow the newer devices to take advantage of the network by spending less time transmitting over the air. As devices get farther from an access point, they will dynamically drop to a lower data rate and less complex modulation. Using higher data rates can “push” the device to roam to a neighboring access point. The 2.4 GHz band only has three non-overlapping channels. That is not much to use in a high density environment. Design a network with 5 GHz in mind. Even if you plan to lower the transmit power of a 2.4 GHz radio it still propagates far distances, especially with lower data rates enabled. The 5 GHz band provides 25 channels to reuse. With a sound channel plan, you avoid the co-channel and adjacent channel interference. More channels provide you with separate contention domains to assist devices in spending less air time transmitting and receiving data. Use of 20 MHz channels is a must. Earlier I mentioned the channel re-use plan. That channel re-use plan for 5 GHz is ideally positioned for high density in education. While 40 MHz channel widths give you larger data rates, be sure to verify the amount of channel overlap as to not cause contention domain issues. Do not use 80 or 160 MHz channels in a high density environment. There are not enough channels to reuse with this configuration. An important goal in high density Wi-Fi for education is the creation of contention domains. The channel re-use plan will be vital in the design of contention domains. The network can operate more efficiently with smaller contention domains. This is achieved by getting devices off the air as soon as possible. Take a lecture hall with three sections of seats to fit 200 people as an example. One access point may be able to provide sufficient signal for the lecture hall. But the real question is will it meet capacity needs. If the professor has every student download a large video there will be 200 devices contending for air time to download this video. That’s one dual-band access point reaching capacity. We can create multiple contention domains by adding an access point to service each section, using directional antennas. This splits the devices onto different radios. The result is faster transmissions for devices and less air time spent communicating on the medium. Omnidirectional antennas propagate signal in a 360 degree radius. When a high density environment requires many access points to meet requirements we receive a lot of RF from each access point. This can lead to CCI and ACI. Although transmit power settings can be tuned, an omnidirectional signal can propagate far in an open space. Use directional antennas to form smaller, specific, cell sizes. An antenna with a narrow beam can effectively cover a section and still provide overlap for a non-overlapping cell. Directional antennas provide a method of limiting CCI and ACI between access points. Example directional antennas are patch or yagi antennas. A predictive site survey can be a time saving way to come up with a design based on gathered requirements. The purpose is to predict signal propagation, coverage, and capacity. It can be an alternative to an on-site AP-on-a-stick survey or can be an augment to it. The AP-on-a-stick survey may be more accurate than a predictive survey but will require more time. If time is a concern, a predictive survey will help eliminate the guessing game of designing a wireless network. This is an absolute must. Verifying a wireless network deployment is validating all requirements from the planning stage. Use an application such as Ekahau Site Survey to perform your validation survey against your predictive surveys. After going over the results, make the necessary tuning to optimize the wireless network per requirements. Create a report of the results and have it signed off by the client/instructor/contact. Mobility Field Day Review – Wi-Fi Is Yuuuge! Mobility Field Day 1 was held as the Westin Hotel in San Jose. 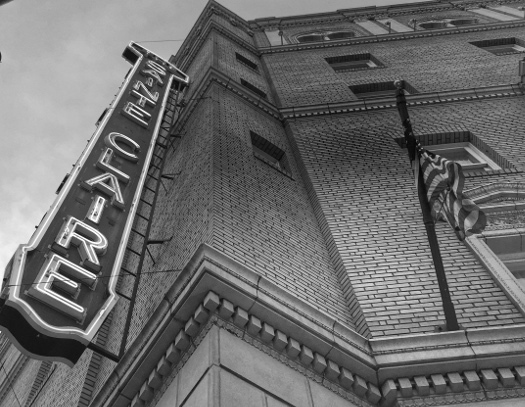 The hotel was declared a historic building. On April 13-14, 2016, I was fortunate to join a group of smart Wi-Fi individuals. All of which contributed greatly to the discussion of Wi-Fi and its future. Mobility Field Day 1, as a first time delegate, met all my expectations and more. The presenters came with their all and provided a chock-full of information that could make your head spin. Look, Wi-Fi is a big deal. There’s so much to it that I can barely keep up. At the end of the whole event, Chuck Lukaszewski laid down knowledge bombs of 802.11ax that I couldn’t even comprehend most of it. In the beginning Cisco gave us the lowdown on the direction of CMX, hint: it’s going to the cloud! While the analytics may be of value to any organization, location services has me a little intrigued. I just couldn’t relate it to a higher-ed use case. Cisco CMX Cloud: Insights and Experiences Simplified from Stephen Foskett on Vimeo. In addition to CMX, I learned of Cisco performing access point testing at 100 MPH. Where can I add that requirement in Ekahau?? Aside from that, the outdoor access point – IW3702 – was kept at a cool compact form factor. That’s something I can use in extreme weather conditions. Cisco IW3702 IoT Access Point from Stephen Foskett on Vimeo. Probably one of my favorite presentations at Mobility Field Day came from Jim Florwick and the 2800/3800 access points. More specifically, I wanted to know how the dual 5GHz radios coexisted in a single access point. I was not let down and I look forward to getting my hands on it for testing. Cisco Flexible Intelligent Radio Roles with AP 2800 and AP 3800 from Stephen Foskett on Vimeo. Think of it as a tool that truly has 360 degree views into your network for the ease of troubleshooting and getting down to the root cause of an issue. Someone can now say with certain, “There’s something wrong with the network.” Or you can call out their BS. I am really looking forward to seeing Nyansa grow. Nyansa Voyance Introduction and Overview with GT Hill from Stephen Foskett on Vimeo. But speaking of impressions, Ventev really came out swinging. Is there not a place they have thought about placing antennas? Bollards – they got it. Low profile stadium antennas? Yup. They will make it work! You have to check it out for yourself. Ventev Concealing Access Points from Stephen Foskett on Vimeo. Wi-Fi wouldn’t be where it is today without talking about the wired side. Peter Jones spoke to us about the evolution of Ethernet and where it’s going. Wes Purvis started a discussion of starting out in the Wi-Fi industry. And I will soon follow up his talk in a future blog post and podcast episode. Blake Krone gave us a glimpse of location services which I also thank him for the Estimote Beacons! Trond Wuellner gave us some insight into the Google OnHub, Stefano Gridelli showed us how we can use distributed network monitoring for wireless metro networks and we heard from Mike Albano about client capabilities. I want to thank everyone involved with putting Mobility Field Day together, especially Stephen Foskett, Tom Hollingsworth, and Blake Krone. It was a great event and I couldn’t have asked for anything more. Everyone was friendly and very accommodating. You can find all the videos on Stephen Foskett’s Vimeo page. 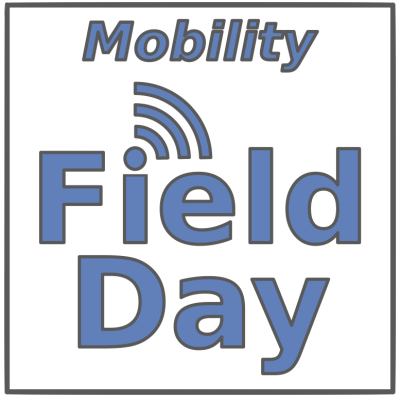 I am fortunate to have been invited to the upcoming 2016 Mobility Field Day (MFD) event which is put together by the fine folks over at Tech Field Day. MFD will be held on April 13-14, 2016 in Silicon Valley. I’m very excited to join the other WiFi thought leaders in our industry. Tech Field Day brings together highly valuable engagement between IT product vendors and the delegates. The difference between Tech Field Day and other conferences is the type of engagement, education, hands-on experience, and feedback from vendors we receive as delegates. Mobility Field Day expands from Wireless Field Day by virtue of Internet of Things (IoT). Wireless really has grown into a highly connected world through mobile devices and embedded systems. It encompasses wireless technology, mobile devices, and other technologies such as MDM, BLE, and analytics. The information received by the delegates is then scrutinized by the delegates and brought forward to the community via blog posts, social media interactions, podcast episodes, and more. As a wireless practitioner, I am looking forward to having close and open relationships with the vendors, thorough education of vendors’ products, and engaging conversations with my fellow delegates. Thanks to Stephen Foskett, Blake Krone, and team for putting on this event. I look forward to it and hope to provide value. You can follow MFD1 and the live stream or follow the #MFD1 hashtag on Twitter.